Whether you remember Reco Chapple from fighting with Kandi Burruss’s wedding party to make her bridal gown or blasting Mariah Huq on Married To Medicine, or from getting thrown in the middle of two rival bloggers, you know he keeps it real and has no problem putting people in check. 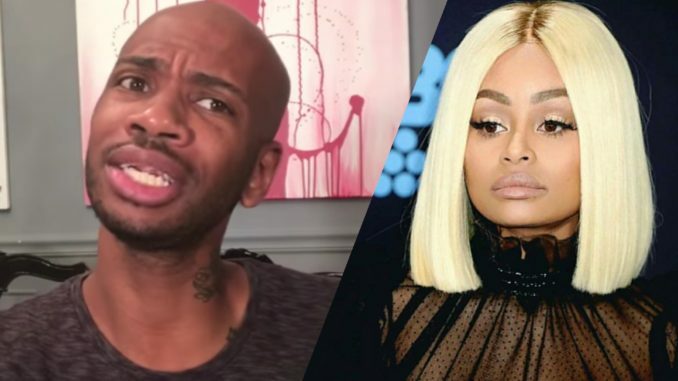 Last week, he recorded a fashion review that turned into a roast when he called out celebs like Joseline Hernandez, who refused to credit the Black designer who made her BET Awards outfit, and Janelle Monae, Niecy Nash, and Blac Chyna. According to Reco, he gave Blac Chyna a sample bag from his clothing line, worth $700 to wear to an event. Chyna failed to return the bag and Reco says he’s considering taking Chyna to court.